While many plugins treat all products as if they’re the same, your client may not want to for your store’s needs. For example, shop owners may want to show Checkout Field Editor fields only for certain product types, show a mailing list opt in for membership products only, or add a banner at checkout if a customer is purchasing an item from a specific category. As such, it can be useful to have some quick template code handy for making customizations that check if a product in the cart is within a particular category. There are usually a couple uses for this — you may want to check if any product in the cart is from a category, or you may want to check if all products in the cart are from a category. In the last part, once you have if ( $cat_check ) evaluating to true, you know that you have your desired category in the cart at least once. You can add your code to do whatever it is you’d like to do (such as display a notice), then hook this into the cart template, checkout template, or wherever needed. What if you have a customization that should only apply if all products in the cart are from a given category? For example, if all products are in a category for “gifts”, perhaps you want to display a note that a packing slip with prices will not be included in the shipped parcel. Or, you could check if all products are in a “Freight” category (or have a “Freight” shipping class, a shipping classes are taxonomies too), and display a notice that handling takes a couple extra days. For that, we can use an array of checks, and then add a true / false value for every product. This way, we can see if we have all “true” values, indicating that all products are within a particular category. 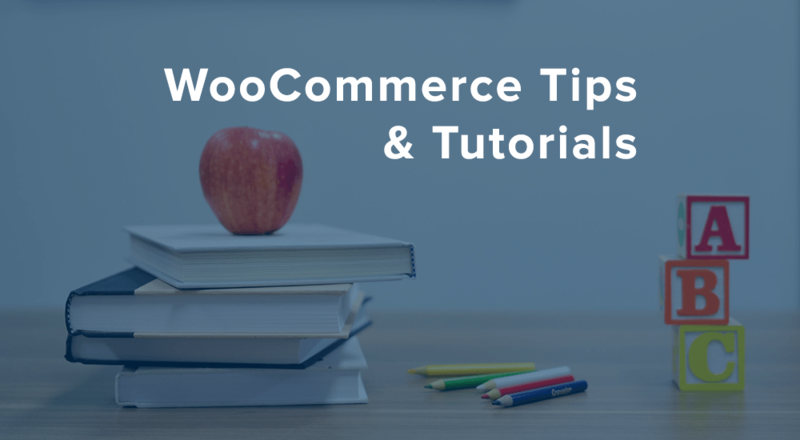 In either situation, as you always have access to the WC()->cart object on the frontend of the site, you can perform these checks and execute your code as needed, whether you’re at checkout, in the shop archives, or perhaps on a blog post, allowing you to perform customizations easily based on the categories within the cart. This saved me many hours of work (‘search’ in fact)! Many thanks! I would like to use this code to be able to stop anyone from advancing to the checkout unless they had a specific category in their basket. Any ideas how I can achieve this? So, I have a category of standard and another called sibling. Standard must be in the cart in order to advance to checkout. You could use something similar to this but invert the logic. nice to write to you again after a few time. 🙂 Hope you’re good! Listen… thanks for sharing those tips above, very good post! I tried to use your snippet in order to automatically add a gift in the cart IF ONLY this one already has a specific brand product (I use Woocommerce Brands). My snippet adds the gift but as many times as it wants, randomly. How can I fix this? Hi Pradeep, i have the same problem as Alessandro. I’ve used Alessandro`s snippet but please could you explain how i have to use your snippet? It’s great to hear that someone at least trying my snippets 😀 Do you want to share your code and exact issues you are experiencing so I can look into it in detail? Hello Pradeep, first of all thanks for your answer! I’ve started with Alessandro’s snippet and tried to add your code, but without success. It would be great if you could point me to the right direction. Since posting that code snippet, I’ve changed my code so it can handle duplicates and few other things that we needed for a particular site. Using that, I wrote the below for you. Give it a try and let me know if it works or not for you. Maybe off-topic, but…I found a snippet to show the product’s Category in the Cart, and have been using it in a copy of Cart.php in the child theme. Is it possible to use the snippet my functions.php instead, and “hook” it into the cart template, so I don’t have to edit the Cart.php after major updates? Hey Scott, there is no such hook for line items in cart. I’ve been a silent follower for years. Thanks for all you do? I’m using WP version 4.8 and WC version 3.1.0 and a vanilla twentyseventeen theme (for development). Any chance the major updates in WC 3.0 affect the performance of this function? Hi Beka, thank you for the snippet! I was curious what if our category has two words (supplies package)?